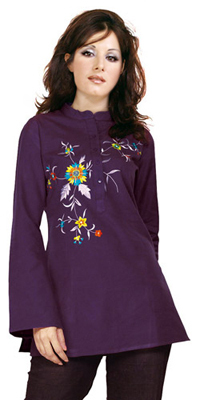 Bring out your casual self in this tunic top that has collars and with front buttons till the empire waist and floral embroidery work around it. The sleeves are loose and so is the top. It has a slight A-line cut to it.